More than 20 years ago, the two plastic covered ski jumping hills at Le Praz, a part of Courchevel in Savoy Alps, were completed. 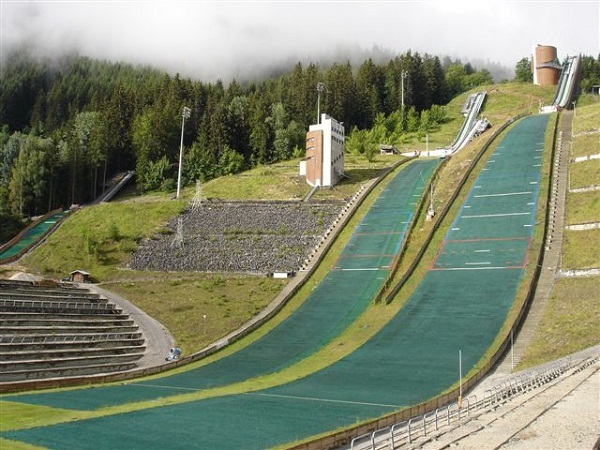 The ski jumping competitions of Albertville 1992 Olympic Winter Games were staged there and since 1997 it has been established as a host of Grand Prix events in summer. 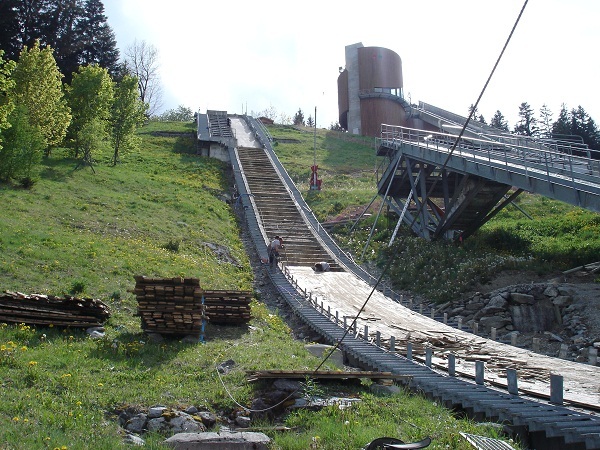 For many years the ski jumping facility had been unchanged, until a K60 jump was set up inbetween K90 and K120 for 1 million Euro in 2004. Another four years later a 25 meter training hill called Ninoufbakken was constructed. 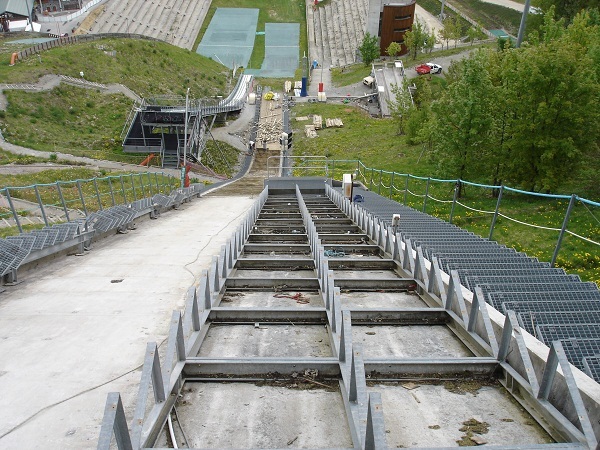 Since the FIS certificates of the two larger ski jumping hills are running out in end of 2011, they have to be adjusted to latest hill construction norms in order to fulfill international standards in the future. So already since May the modernization of K90 has been running. There the whole inrun including starting gates is renewed and the inrun trail will be replaced by the SKI-LINE system made by REHAU until end of August. After Summer Grand Prix events on August 11 and 12 the inrun of K120 will be equipped with a new ceramic track made by Porsgrund. Additionally the plastic mattings will be renewed and enlarged by spring 2012 and a new watering system has to be installed. 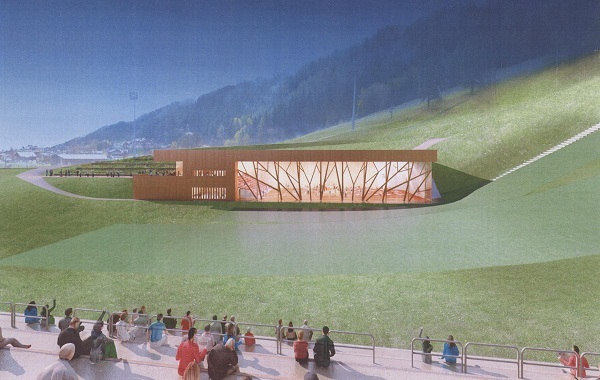 Another construction measure that started already is the building of a "Nordic House" with sports hall, fitness center, spectator terrace for 200 people, rooms for the organising committee and even for the accomodation of ski jumpers. 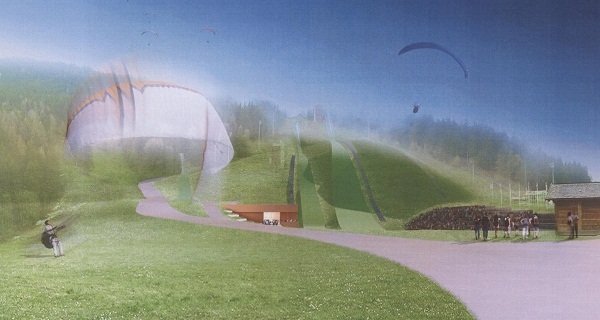 All measures shall be completed by summer 2012 and the total construction cost will be around 1.5m Euro.